A new soccer franchise in Minnesota needed to spread the word and generate excitement. Here’s how PointDrive lent a crucial assist for the score. Education is always an important part of the selling process. For Minnesota United FC, it’s an especially critical piece. An expansion team for Major League Soccer, the club had much ground to cover when it came to getting the message out to potential fans and ticket-holders. It’s a brand-new franchise, bringing a new league, a new stadium, and -- for many -- a new sport to the Twin Cities market. Soccer is intensely popular around the globe, but still relatively nascent as a mainstream pro sport in the United States. In building a customer base, the United sales reps needed to lean on visual tools and digital resources in forming their pitches to bring people out to the pitch. To drive home their key points, they turned to PointDrive. We’re all familiar with the frustration that PointDrive works to solve: Sending numerous assets via email is generally a dissatisfying experience on both ends. The recipient must sort through unorganized attachments with minimal context, while the sender gains no meaningful insight as to how people are engaging with the content. Through PointDrive, a key feature in the Sales Navigator Team and Enterprise solutions, senders can direct recipients to a dedicated and branded page hosting all of the pertinent materials, like images, presentation PDFs, and videos. Then, they can tap into deep insights about whether, and how, those assets are being opened and interacted with. 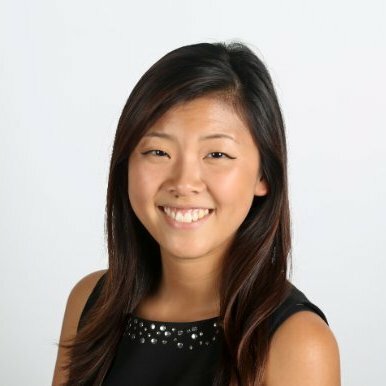 The tool proved crucial for Minnesota United FC’s sales team as they sought to capitalize on news developments and generate excitement around the new product. Click to see an example of their PointDrive. The sales strategy involved aligning promotional blitzes with milestone moments for the budding franchise. These are occurrences like PR announcements, uniform unveilings, stadium updates, and so forth. 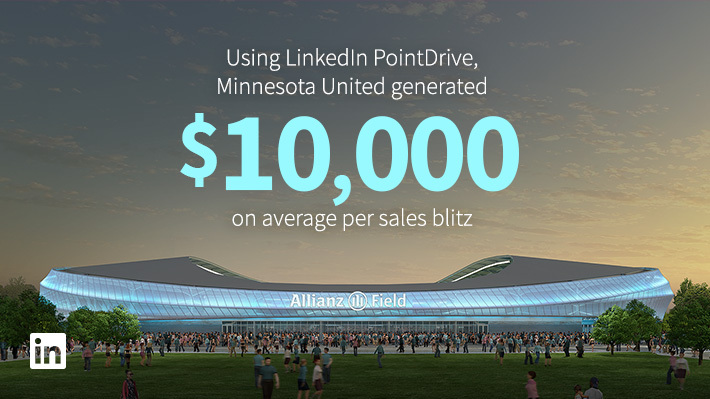 With PointDrive helping facilitate communication and value propositions, Minnesota United FC has been able to average $10,000 in revenue per sales blitz, and a recent campaign generated 48,000 pageviews -- as many as the previous three combined. Asked what they value most about using Sales Navigator and PointDrive, the sales team calls out the progressively improving results with each campaign, and the way these tools empower reps to fully dive in with social selling (for instance, sharing PointDrive links on their own LinkedIn pages to drive traffic and sales). For more information about how PointDrive has helped Minnesota United FC bury the ball in the net, and how your business can do the same, check out the full case study here.